Where Are The Emile Zolas’ of Our Times! Capitalism has stopped "delivering the goods" for quite a while now, especially in its older bases (Europe, North America and Japan). Real wage stagnation, deepening wealth and income inequalities, unsustainable debt levels and export of jobs have been prevailing trends in those areas. The global crisis since 2007 only accelerated those trends. In response, more has happened than Keynesianism returning to challenge neoliberalism and critiques returning to challenge uncritical celebrations of capitalism. Capitalism's development has raised a basic question again: What alternative economic system might be necessary and preferable for societies determined to do better than capitalism? That old mole, socialism, has thus returned for interrogation about its past to draw the lessons about its present and future. Since the mid 19th century, socialism has mostly been differentiated from capitalism in two basic ways. Instead of capitalism's private ownership of means of production (land, factories, offices, stores, machinery, etcetera), socialism would transfer that ownership to the state as the administrator for public, social or collective ownership. Instead of capitalism's distribution of resources and products by means of market exchange, socialism would substitute state central planning to accomplish that distribution. Marxism was generally viewed as the basic theoretical criticism of capitalism that went on to define and justify a social transition from capitalism to socialism. Communism was generally viewed as a distant, rather utopian stage of social development beyond socialism wherein class differences would disappear, the state would wither away as a social institution, work activity would be transformed and distribution would be based purely on need. Before 1917, socialism comprised both the critical analysis of capitalism and the anti-capitalist programs promoted by various social movements, labor unions, writers and political parties. They advocated transitions from private toward state ownership of means of production, and from market toward state-planned distribution. Socialism was stunningly successful at winning hearts and minds; it spread quickly across the globe. By 1917, a revolution in Russia enabled a new government to replace the capitalism it had inherited with what it understood as socialism. Bolshevik leaders thus moved to nationalize productive property in industry and institute planning as hallmarks of the new Union of Soviet Socialist Republics' (USSR's) economy. Yet Soviet socialism also changed and complicated the meaning of socialism in the world. Beyond being a general theory and program of anti-capitalism, socialism came also to be the label applied to what was said and done in and by the USSR. This change had profound consequences. Socialists around the world split into two wings or segments. For one wing, the evolving Soviet revolution was the realization of what socialism had always sought. It therefore had to be defended at all costs from capitalism's assaults. That wing increasingly defined socialism as what the USSR did after 1917; Soviet socialism became the model to be replicated everywhere. The other wing disagreed. Socialism's traditional theory and program did not need - and ought not - to be adjusted to replicate what happened in the USSR. Some in this wing criticized what the Bolsheviks did in the USSR (particularly in terms of political freedoms and civil liberties). Others believed that peaceful, nonrevolutionary and electoral strategies were surer roads to socialism than Bolshevik revolutionary politics. For them, "evolutionary" socialism was a better road to take than revolutionary socialism. Classical socialism, for this wing, was very different from what happened and evolved in the USSR. As debates between the two wings intensified (especially in relation to World War I), the admirers of the USSR changed their names from socialists to communists. Where before these names had differentiated shorter-term from longer-range goals of all socialists, after 1917 they distinguished the more pro- from the more anti-Soviet socialists. The USSR's survival and growing strength after 1917 (especially in contrast to the Depression-wracked capitalist world of the 1930s), its victory over Hitler in World War II, and then the successful Chinese, Vietnamese and Cuban revolutions after 1945 brought the Communist wing ever greater prominence in defining what socialism meant. Peculiar ambiguities emerged. Sometimes, communism and socialism were treated synonymously as the alternative to capitalism. Yet, leaders and spokespersons of countries where self-described communists achieved government power described their societies as "socialist" and definitely not yet "communist." Socialists who were critical of the USSR increasingly insisted on the importance of differences between socialism and communism in theory and practice. On the one hand, communists and socialists advocated the same basic transitions from private to public ownership of means of production and from markets to planning. On the other, they differed - often sharply - over the speed, forms, and social conditions appropriate for the transition from capitalism and over the role of civil liberties and democratic freedoms once socialism was achieved. The non-communist wing of the socialist movement also grew in strength and influence after 1917. Large, mass-based socialist parties became regular, major players in the electoral politics of many countries. Communist parties played such roles less often. Sometimes communist and socialist parties collaborated on shared objectives, and sometimes differences created great enmity between them. Socialist parties focused on electoral politics, increasingly rejecting revolutionary strategies, tactics and language. The socialist wing largely accommodated itself to the view that capitalism seemed securely in place. The role for socialists was then to expose its flaws (injustices, wastes and inefficiencies) and struggle politically to impose governmental rules, constraints and interventions that would impose "a human face" on capitalism. Socialists thus focused on obtaining redistributive tax structures, government-provided social safety nets and state-regulated markets. In many countries, the socialists became the more or less accepted mass-based left that favored a state-regulated, social-welfare capitalism. Opposing the socialists was a basic right that favored less state regulation, a capitalism in which the private capitalist sector was dominant. Toward the end of the 20th century, the relationship between the socialist and communist wings altered drastically. With the collapse of the USSR and its Eastern European allies in 1989, and following strategic shifts inside the People's Republic of China, the growth of the communist wing of the socialist movement reversed into sharp decline. The Communists had established socialisms - based on state ownership of industrial enterprises and central planning - that had shown spectacular rates of economic growth and exemplary advances in the standards of living for the mass of their citizens. However, they had not been able to create the broader social conditions needed to sustain that growth, to simultaneously protect themselves from a hostile capitalist world, and all the while to retain the ideological and political support of their countries' populations. When serious crises hit them in the late 1980s, few social forces proved able or willing to save or rebuild the systems that the communists had constructed. Worse still, those systems' speedy conversions into varying forms of monopoly capitalism and corrupted politics raised further disquieting questions about what the systems of "actually existing socialisms" really had been. At first, the socialist wing largely replaced a declining communism to become the dominant contemporary form and definition of socialism. However, the global resurgence of neoliberal capitalism after 1970 eventually weakened support for the socialist wing, although not as effectively as had happened earlier to the communist wing. Neoliberal ideologues portrayed the collapse of the USSR and Eastern Europe as proof positive that the long battle between capitalism, on the one hand, and socialism or communism, on the other, had been definitively "won" by the former. To remain a communist or even a socialist, in their traditional senses, was portrayed as a sign of atavistic, antiquarian self-delusion. History had rendered its verdict; it was final; and there was no appeal. Not only had the USSR and its Eastern European allies collapsed, but their subsequent gangster capitalism, crony capitalism and other unattractive capitalisms further undermined socialists' confidence in their earlier views of "actually existing socialisms." In the wake of these post-1970s developments, many socialists around the world devolved and merged into "progressive forces" within capitalism. For them, socialism had stopped being an alternative to capitalism. There simply was no such left alternative any more. Frustrated and deeply disappointed, not a few of the former activists, militants and supporters of both wings of traditional socialism disengaged from politics altogether. For those ex-communists and ex-socialists who did remain politically active, they were mostly "progressives who recognized history's verdict" and devoted themselves to making capitalism as equitable, democratic and generally humane as possible. For some (for example, the Italian left) that meant renouncing the names "socialist" and "communist" in favor of others ("democrat" was especially popular). Then history suddenly mocked and undid the so-called verdict that had allegedly condemned socialism and communism to the status of passé fashions. In the global economic meltdown that began in 2007, capitalism "hit the fan." Its extreme instability was exposed. Capitalism's utter dependence on the state (to rescue it from crisis) was all the more ironic and telling given the previous decades during which neoliberal ideologues had endlessly vilified the state and called for its drastic reduction. Capitalism's gross injustices were underscored as its crisis victimized the many (jobless, homeless, etcetera) while bailing out the few. Capitalists' control of the state was likewise highlighted as it provided "recovery" for the few while imposing austerity on the many. History suddenly reminded people that capitalism's contradictions, flaws and injustices were what had generated socialism and communism in the past. Those same qualities had never been overcome. When they exploded into view again in 2007, similar critical movements and upsurges were regenerated. Names and nuances would be different (such as the "indignados" of Spain or the "occupiers" of Wall Street, and much else). New parties would arise (e.g., "anti-capitalist" or "left"). New alternatives to capitalism would emerge and show significant theoretical and strategic importance. In all cases, however, their resemblances and debts to the classical traditions of socialism and communism would be no more difficult to see than their differences. Traditional socialism, in both of its major wings, was remarkably successful up to the 1970s. Its theoretical formulations (Marxist and non-Marxist, critical and programmatic) and its institutional embodiments in social movements, labor unions and parties (ruling as well as oppositional) were powerful agents of that success. However, socialism's global spread was checked after the 1970s. Former Communist parties disappeared or lost influence in most countries. Many socialist parties enhanced their accommodations to capitalism by tolerating or even supporting first neoliberalism and then, since 2009, government austerity policies. The last 30 years also witnessed the sharply reduced presence of explicitly socialist and Marxist perspectives within many cultural domains. Adherence to those perspectives fell correspondingly. In short, some agents of socialism's extraordinary global expansion across the century before the 1970s morphed into obstacles and barriers to further success. Likewise, socialism's enemies often found the resources and the ways to slow, stop or reverse its progress. In any case, socialism's history provides key raw materials for making the changes needed now to fashion a socialism for the 21st century. Its past achievements and failures, when faced honestly, are informing a new socialism capable of moving beyond a capitalism riddled with environmental as well as economic crises as it deepens profoundly divisive and unsustainable inequalities. A new socialism for the 21st century begins by assessing the limits of classical socialism. That assessment's priority focus is not external (how others hindered socialism's progress) - but rather internal. Where socialists were responsible for their own difficulties, there they can make significant changes. Serious self-criticism might begin by questioning classical socialism's definition of its chief tasks as changing (1) the ownership of productive property from private to public and the distribution of productive inputs and outputs from market to planning. These were changes at the macro level of society, far removed from most people's daily, micro-level lives. Many socialists believed that macro-level transitions would determine similar micro-level transitions. Shifting from capitalist (private) to socialist (collective) productive property ownership and from market to planning systems of distribution would cause parallel transitions from capitalist to socialist individuals in their personalities and in their daily work, home and community lives. Where communists achieved government power, they made many of traditional socialism's prescribed macro changes. As a result, genuine benefits accrued at the micro-level in the forms of much improved job security and wages and much improved access to education, housing and medical care. Where socialists gained governmental power, they made parallel (albeit slower and more modest) macro changes in the same direction, with corresponding benefits for the micro level. The changes and resulting benefits won for communists and socialists the considerable supports they enjoyed across most of the 20th century. At the same time, the political power concentrated at the macro level (and institutionalized in the party and the state) and narrow ideological conformity provoked considerable criticism and opposition over much the same period. But neither the macro-level changes nor the micro-level benefits ended the exploitative employer-employee relationship that defines the capitalist workplace. At that micro-level, employed workers still used their brains and muscles to produce outputs whose values exceeded the values of what they obtained in return as real wages. In some communist countries, that value relationship was denominated in the administered prices set by central planners. In most countries, the value relationship was denominated in market prices. In either case, what matters is the difference between what workers added in production to the value to the raw materials, tools, and equipment used up in production, and the value of their wages. That difference (the "surplus" in Marx's theory or "net revenue," "profit" and other terms in other theories) continued to be appropriated and distributed by persons other than those workers nearly everywhere that socialists or communists shaped economies. True, the surplus-appropriators could be state officials (e.g., commissars) rather than privately elected boards of directors, or perhaps they were heavily state-regulated private boards, but in any case, they exploited the surplus- producers precisely as Marx specified in his Capital. In simplest terms, in actually existing socialism and communism, the workers who produced the surplus continued to be excluded from appropriating and distributing it. 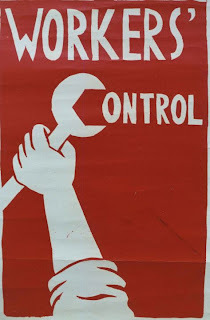 A socialism for the 21st century must include and stress the importance of micro-level social transformation at the base of society in the workplace. Ending exploitation in workplaces is that transformation. Instead of workers producing surpluses for others to appropriate and distribute, they must now do that for themselves collectively. They must become their own board of directors. Ending workplace exploitation means that non-workers, whether private individuals or state officials, can no longer appropriate or distribute workers' surpluses. As "producer cooperatives" or "democratized enterprises" (among other names), such transformed workplaces represent a priority goal of a new socialism. That socialism stresses the micro-level transformation of society - the end of exploitation wherever people work - as the necessary companion or counterpart to the traditional macro-focus on property ownership and distribution mechanisms. The macro and micro components of socialism would both become equally necessary, conditions of each other's existence, mutually reinforcing as well as mutually dependent. Neither will be viewed or treated by policy as determinant of the other. Both will shape one another much as they both shape and are shaped by the larger social and natural contexts. 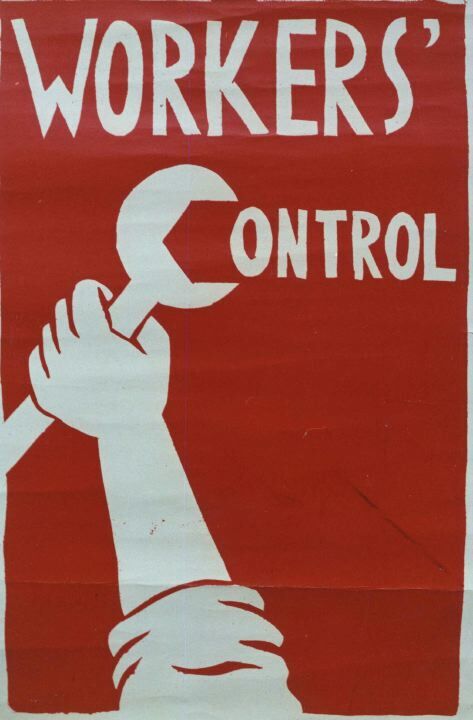 Such a socialism for the 21st century situates the workers - the majority - as key micro-level agents of its project and of the new society being established. Workers will transform their factories, offices and stores into producers' cooperatives or what are increasingly called worker self-directed enterprises (WSDEs). They will likewise defend them both from regression back to capitalist enterprises and from subordination to any state or party apparatus. Workers will operate their enterprises as the continuing core of the transition from capitalism to socialism. As their own boards of directors, workers will collectively appropriate and distribute the surpluses they produce. They will thereby have replaced capitalists. Workers' democratic self-government in the workplace will then have superseded capitalism's undemocratic organization of the workplace. Other social institutions formerly dependent on receiving distributions of capitalist surpluses from the appropriators will then be dependent instead on workers directing their own enterprises and thus distributing their own surpluses. Government revenue, for example, to the extent it depends on taxes on enterprise surpluses, would then flow from (and hence be responsive to) workers in their capacity as enterprise self-directors. The state would then become directly and financially dependent on the organized (in and by their enterprises) workers in a way and to a degree unequalled in human history. Correspondingly, the risks of power passing from the mass of people in their residences and workplaces to a state bureaucracy - a serious problem for traditional socialism - would be reduced. When the workers collectively and democratically distribute the surpluses they produce, they will have a powerful influence on how the society's surpluses are distributed. That influence will likely work against the sorts of extreme inequality in the distribution of personal income typical of capitalist societies. For example, workers in WSDEs will not likely distribute wildly disproportionate shares of the surplus in the forms of huge salaries for top executives while the mass of employees barely get by. There will be little need for redistributive tax systems because enterprises' initial distributions of income - both as individual wages and as distributed shares of the surplus - from WSDEs will be far more egalitarian. The long history of capitalism's failed efforts to avoid highly unequal distributions of wealth, income, political power and cultural access can finally be overcome by a transition to a non-exploitation-based economic system. The socialism for the 21st century sketched above combines the traditional macro-focus on socialized productive property and planning with the micro-focus on a democratization of workplaces. Removing workplace exploitation represents a major step toward achievement of the French Revolution's goals: liberté, égalité and fraternité. Capitalism took some steps but prevented others. Its spokespersons and defenders forever celebrated (and still do) a democracy that is rigidly excluded from the system's enterprises (where most adults spend most of their active lives). Capitalism's history repeatedly demonstrates that the absence of democracy inside enterprises undermines it elsewhere in society (or else yields caricatures, as in "democratic" elections corrupted by the system's economic inequalities). Imagine democratic enterprises interacting with democratic residential communities - economic and political democracies reinforcing one another and making one another real, not merely formal. Jointly they would co-determine how society functions and changes. That vision and goal animates a socialism for the 21st century. It builds upon, while also critically departing from, traditional socialism's contradictory history. It embodies the aspirations of all those who contemplate the present in the spirit of knowing that we can do better than capitalism. 1. Of course, some individuals and some parties articulated combinations, variations and even departures from these two basic wings of socialism, but they were quite secondary in terms of their historical importance and social impacts. 2. For a full presentation and documentation of this argument, with special reference to Soviet socialism, see Stephen Resnick and Richard Wolff, Class Theory and History: Capitalism and Communism in the USSR, New York and London: Routledge Publishers, 2002. 3. For a detailed elaboration of WSDEs, see Richard Wolff, Democracy at Work: A Cure for Capitalism. Chicago: Haymarket Books, 2012. 4. See, for examples, his America Beyond Capitalism: Reclaiming Our Wealth, Our Liberty, and Our Democracy. Tacoma, Maryland: Democracy Collaborative Press, 2011, and his What Then Must We Do? White River Junction, Vermont: Chelsea Green Publishing, 2013. First appeared in Truthout. Copyright: Truthout, June, 2013. It appears the writer misses the powerful influence of the market under capitalism and hence the important aspect of commodities and their exchange that includes labor.This begs the question whether worker self-directed enterprises (WSDEs)will produce for the market? Even if the "traditional macro-focus on socialized productive property" is achieved and "planning with the micro-focus on a democratization of workplaces" is done the fetishism of the commodities will continue to produce a class on daily and hourly basis.Without addressing this question head on, the "micro-level social transformation at the base of society in the workplace" will not lead 21st century socialism anywhere.